The Core i9-7960X processor with sixteen cores can not be bought until September, but Intel has already provided the selected enthusiasts with engineering samples so that by overclocking they accustomed the wavering audience to customer loyalty. The received 4941 points is the best result not only in the model competition, but also among all processors with 16 cores. Moreover, the three best Cinebench R15 results in this category are demonstrated by different overclockers using Core i9-7960X. 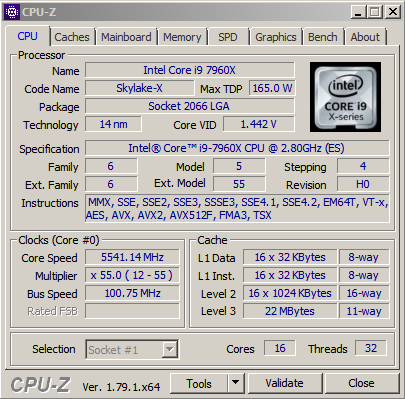 At this frequency, the processor retained the activity of all 16 cores and Hyper-Threading.